I remember that too. I also remember exactly where I lost that UZI on Christmas of '82. Stupidly brought my brand new Snake Eyes to my cousins house. 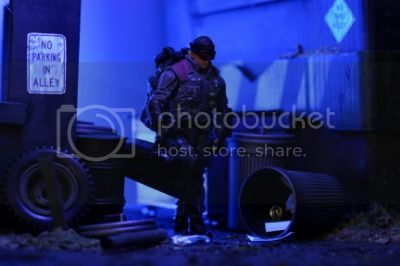 Theres a lil small place for people that like to take pictures of their Joes. Its called Joedios.com, check it out!!! We're like COBRA... we infiltrate all aspects of society waiting to pounce. @MakWiesel: Indeed he is. I bet he could even take down every single Cobra on that pic. @Octane, Nictus, CV2.0, Cottonmouth, Tracker: Thanks. @SIC DETH: Thanks. And i will check on that. ..and the body count increases. Sweet pics man.